This question was asked by my friend and regular blog visitor Abhinav.Adobe Photoshop provides a wide variety of Photo Effects.And Creating a Transparent text is one among them.In this tutorial i have provided step by step instructions so that even newbies can learn easily. 1.Open a Picture in Adobe Phtopshop. 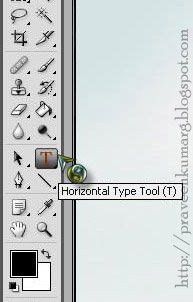 2.Click on the Text Button(Horizontal Type Tool) in the Toolbox. 3.Write a text Over the Picture. 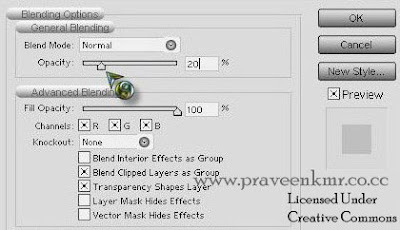 6.Now Adjust the Opacity Level according to your need. 8.That’s it.Now you can find a Transparent Text Over the Picture. Nice tut, enjoyed following it and creating the same result. Thanks for sharing and looking forward for your next tut. 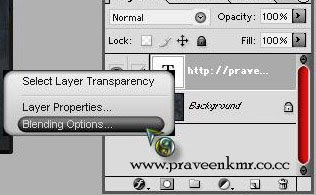 "How to change layer opacity from 100% to 20% in the most awkward manner". Layer opacity is on the layer palette, no need to open effects for this. Reducing Opacity will lead to Glass effect.Don't u even know this thing?